Issue: Zebra LP 2824 printing lines of random characters instead of labels – Pacific Amber Technologies Inc. If your LP 2824 is printing random garbage text when you try to print a label, it may not have the correct setting. The printer utilizes the Feed button during printer power-up to toggle between printer personality modes, Line and Page (EPL2). 1. With printer power off, press and hold the Feed button while turning the printer on, then release the button when the LED starts blinking red. 2. When the indicator LED starts flashing green, immediately press and hold Feed button. 3. Release the Feed button when the LED turns a steady Amber (orange). 4. Verify printer personality with Dump Mode printout:. Line Mode or Page Mode (EPL2). 5. Press the Feed button to exit the Dump Mode. A second option would be to reset the default settings under Devices and Printers. 1. The first step is to access the Devices and Printers section of your Windows control panel. 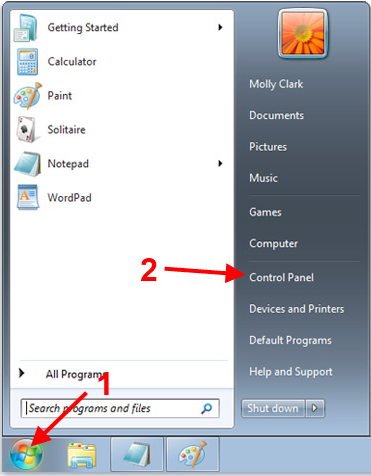 Begin by selecting your Windows Start button, and then selecting Control Panel. 2. 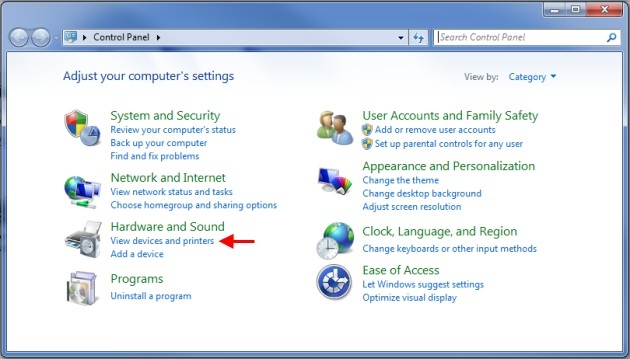 Next, under the Hardware and Sound section, click on View Devices and Printers. 3. Right click on the ZDesigner logo and select Printing preferences from the drop down menu. Step 1: Select the Tools tab. Step 2: Select Action as the command type. Step 3: Select Load Factory Defaults. Step 4: Select Send to apply the reset. (Make sure your Zebra printer is fully plugged in to your computer and powered).